accompanied by a media-fuelled moral panic about experimentation and vivisection. These apparent paradoxes are explored in a recent article that looks at attitudes to risk and responsibility by surgeons, their patients and the public, as well as the risks faced by the early women surgeons. In 1904, a female surgeon, May Thorne, was tried for negligence, after a sponge or swab was left inside a patient on whom she was operating. The evidence presented in court, and the discussion around the case in the medical press, carry some contemporary resonances about blame, accountability and risk in healthcare. Did responsibility for the lost sponge lie with the surgeon, or with her nurse and sole assistant, who had counted them at the end of the operation? Surgery was becoming seen as a team occupation, with anaesthetists, pathologists, trained nurses and so on; at the same time, anaesthesia had promoted skill over speed – until then at a premium – allowing individual surgeons to garner glory after successful, previously impossible, procedures. The jury seem to have been in two minds: they found Dr Thorne guilty of neglecting her duty to both patient and nurse, but initially tried to award only a farthing as compensation, presumably sharing the widespread view that the operation had been performed with great skill. Much sympathy was felt for Dr Thorne within medical circles, especially as she had operated for free on Miss Byrne. A defence fund to pay her costs was oversubscribed within a month and concerns were voiced in the BMJ about this extension of surgical responsibility. So risk, unlike glory, was to be spread fairly among the team. Moral panics are rarely illuminating as they happen, but in hindsight often fascinating. The article discusses the ‘late Victorian obsession’ with the power of medics over patients, with newspapers talking about ‘butchers’ shops’ where surgeons experimented upon healthy patients in the name of science. The BMJ, in contrast, celebrated the many operations now becoming common that would, decades earlier, have been impossible, recognising that risk is needed for progress. 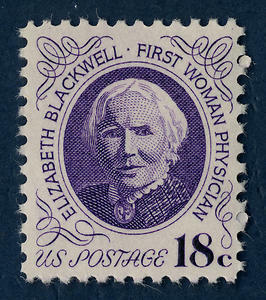 The article includes some comments from 1894 by Elizabeth Blackwell, then aged 73, to one of the papers leading the human vivisection charge. She was concerned about the way in which female surgeons appeared to be outdoing men with “reckless operations”, in their anxiety to match their male counterparts, and that their “reverence for creation and and their sympathy for the poor and suffering is in abeyance”. She saw this as a temporary, and almost inevitable, danger accompanying a beneficial change – the education of women to alleviate the suffering of other women. Brock C. Risk, responsibility and surgery in the 1890s and early 1900s. Medical History 2013; 3: 317-337. Lowri – interesting story and perspective. The law of unintended consequences is full operation at a couple of levels… I wonder how the current pressures on healthcare, to produce ever more efficiencies, will be judged 100 years from now. Thank you – and yes indeed, interesting question.